When you're shopping around for a water heater for a new home or replacing your existing heater, you don't have to go to one of the "big box" stores. Johns Plumbing, Heating and Air Conditioning can get you a great water heater and install it at a fraction of the cost of the bigger home improvement stores. Below are 12 reasons why you should choose Johns the next time you need to purchase a water heater. Johns Plumbing, Heating and Air Conditioning, will send out a water heater specialist that will address all your water heater needs. After learning what your current and future needs are, they can direct you to the right heater for your family. Johns Plumbing, Heating and Air Conditioning will guarantee same day installation if the job quote is approved before 12:00 noon Monday – Friday*. Also, we will come out and provide you with a free estimate Monday - Friday. Johns Plumbing, Heating and Air Conditioning offers a 5% cash discount**, or 12 months "same as cash" interest-free financing through Wells Fargo, just visit our website and click on Financing for additional information and to apply online. Johns Plumbing, Heating and Air Conditioning offers 24/7 service with a live person answering the phone. Johns Plumbing, Heating and Air Conditioning will ensure that all work is done to the current state requirements. This will provide piece of mind that your heater has been properly installed and inspected, so that your family will have hot water when they need it. Johns Plumbing, Heating and Air will deliver your new heater and haul off your old one free of charge. Did you know that the average life of a water heater is 7-12 years? If your heater is that old or older you need to be proactive and replace your heater before it burst and floods your house. Big box stores only offer the manufacturer warranty on water heaters. The manufacturer warranty is 1 year on parts and 6 years on the tank, with no warranty on the labor. If you have a problem with a water heater you must wait for it to be authorized for repair or replacement, which could take days or sometimes weeks. Johns Plumbing, Heating and Air Conditioning offers a 2 year warranty on parts and labor and 6 years on all parts - including the tank. We warranty all of our heaters immediately, no questions asked and no waiting for authorization on the repair or replacement. You call us with a problem and we will handle it. 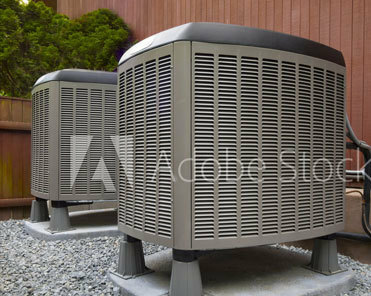 When purchasing from the big box stores, you will have to deal with the big box store for the heater and a sub-contractor for the installation. When something goes wrong, who are you supposed to call? When you call Johns Plumbing, Heating and Air Conditioning directly, you have one company to deal with from beginning to end, ensuring that you receive the best customer service possible. The uses of our homes vary from year to year. You may have a heater installed when all of your kids are away for college. By knowing what your future plans are, our water heater specialist can make the appropriate recommendations for your new heater. If could be taking out two old tank style heaters and converting to a tankless water heater, which over the life of the heater will save you money. Whether you are buying a new heater or replacing an existing one that no longer works, would you rather be the customer of a family owned company that values it’s customers or would rather be just another sale for one of the big box stores. Johns Plumbing, Heating and Air Conditioning, is a licensed and bonded company that after 43 years of being in business, knows the true value of a customer and will do whatever is necessary to ensure that the customer is always happy. If you are in the market for a new water heater, contact us online or you can give us a call today at 336-294-2301. Let us show you why it’s better to call Johns Plumbing, Heating and Air Conditioning for your next water heater, instead of the big box stores! **Not to be combined with any other offer or discount.